Simple block that allows you to play MP4 videos from the 'File Manager'. The embedded video will automatically become responsive and fit all screen sizes using a little css, NO javscript. No need for different file types. MP4 is now a standard video delivery over all modern devices. Upload a screenshot of your video or other image the same size as your video, this will act as a background for your video. Choose either to have a backgound video in an area with optional overlay title and link or a full page video. Connect your site to the C5 community. Click 'Extend concrete5' from the 'Dashboard'. Click 'Get More Add-ons' and 'Search' for 'Mp4 Player'. Purchase, 'Download and Install' and return to website. Click the '+' icon top left of page as normal and scroll to the 'Multimedia' blocks section you should see the 'Mp4 Player' block. 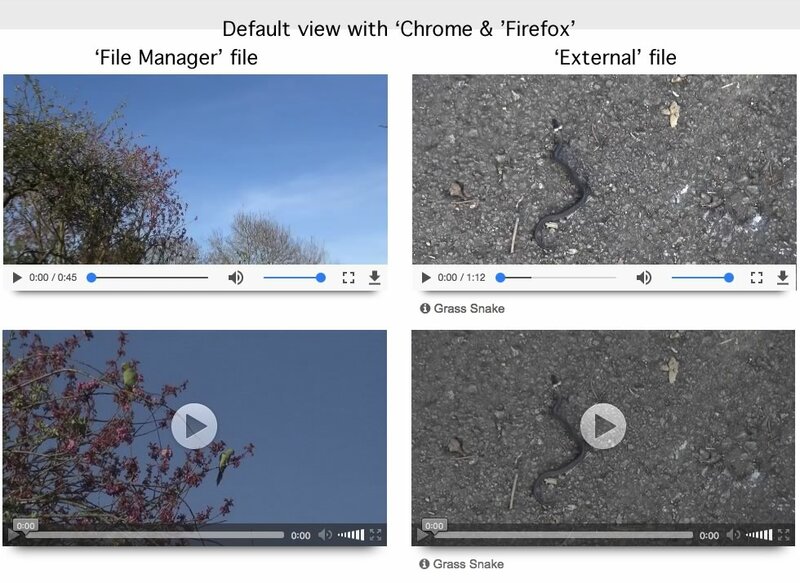 Drag the block onto your page, choose a 'Poster Image' and an mp4 video file from your 'File Manager', give it width and height in pixels (same sizes as the uploaded video in the 'File Manager').